It has been an enjoyable summer in Willow Grove. 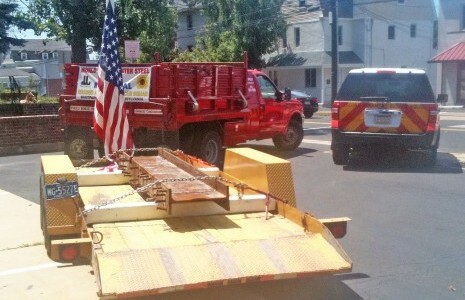 Our next door neighbors, The Second Alarmers Rescue Squad obtained a piece of steel from the World Trade Center. The steel beam pictured above is to be used in a Memorial to 911 to be constructed at their soon to be built new facility in Whitpain Township, Pennsylvania. They have all their news and information about the World Trade Center Memorial at their web site www.sars.org!